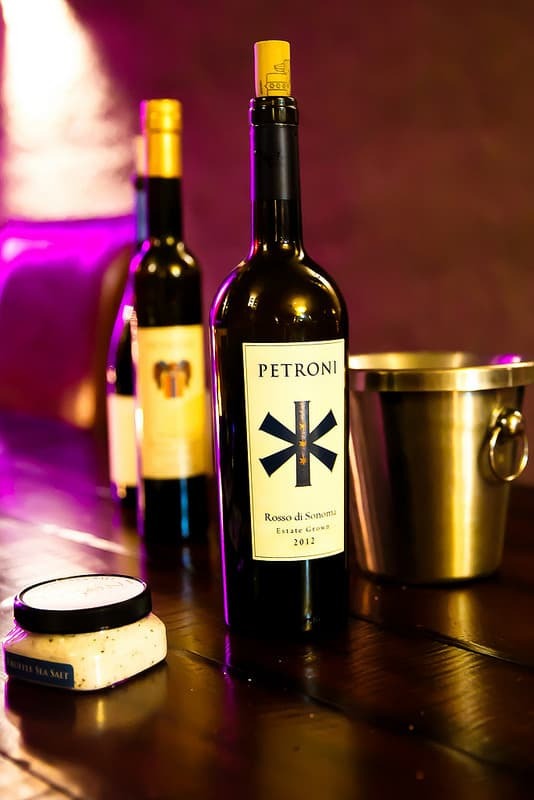 Visiting Petroni Vineyards was the second wine tasting tour we did in partnership with the Ultimate Wine Tours during our visit to Sonoma in January 2017 (our first wine tasting was at Two Amigos Winery – and you can read all about it here). 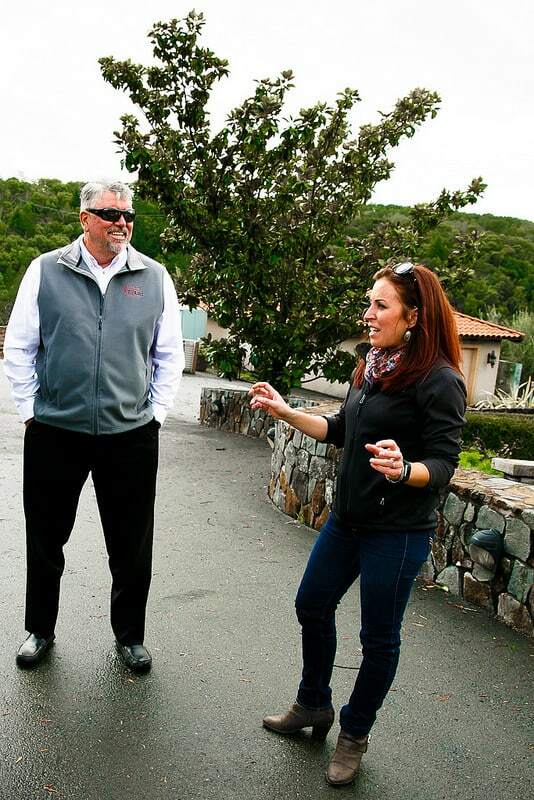 Ultimate Wine Tours are run by husband/wife team of Captain Steve and Admiral Jean, and they specialize in creating unique wine tasting experiences by taking their guests to boutique wineries that are off the beaten tourist track. 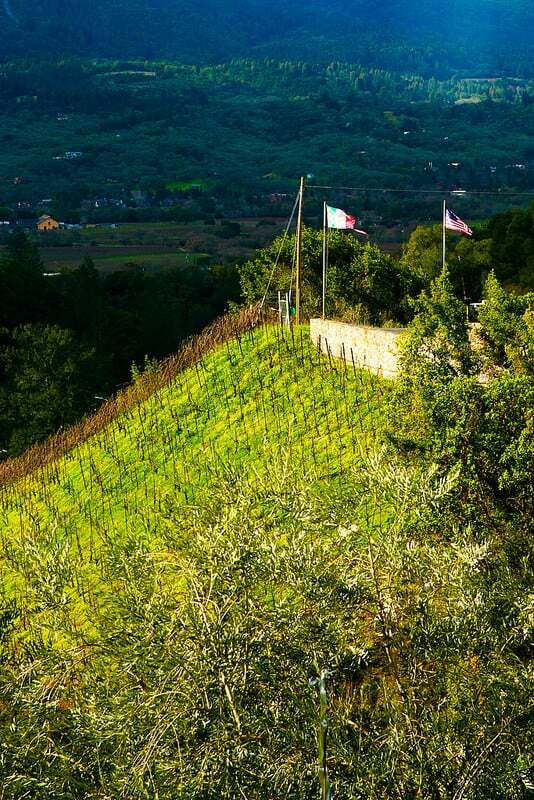 To get to Petroni Vineyards, Captain Steve drove us up a narrow and winding road with stunning views to arrive at the mountain top with the American and Italian flags waving at the entrance to the winery. The views were truly spectacular and panoramic, and the pictures just don’t do the justice to what you will see once you arrive at the winery. 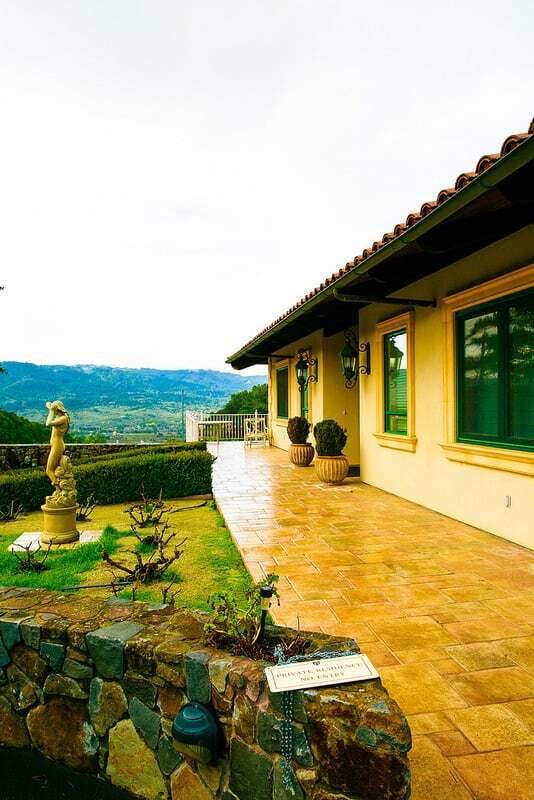 As you walk around their stunning property, you might forget for a moment that you are in Sonoma and instead think you are somewhere on a villa in Tuscany. 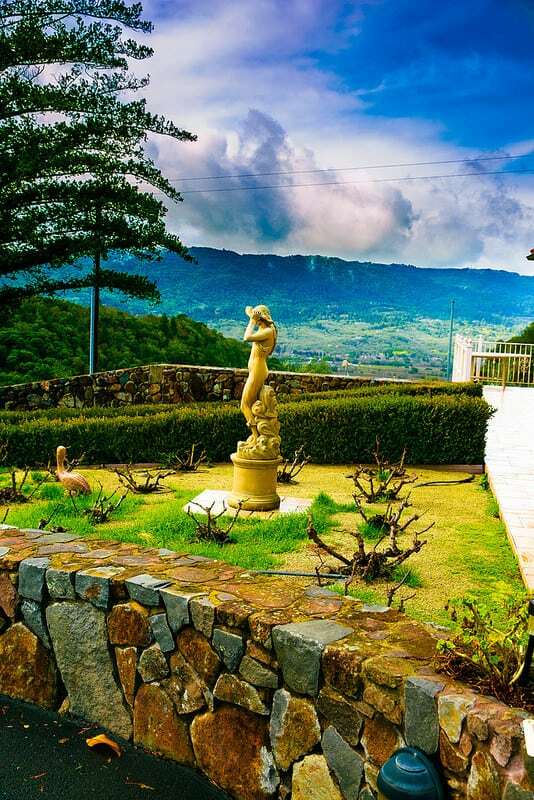 The scenery around the winery really sets you in the right mood for the wine tasting experience. 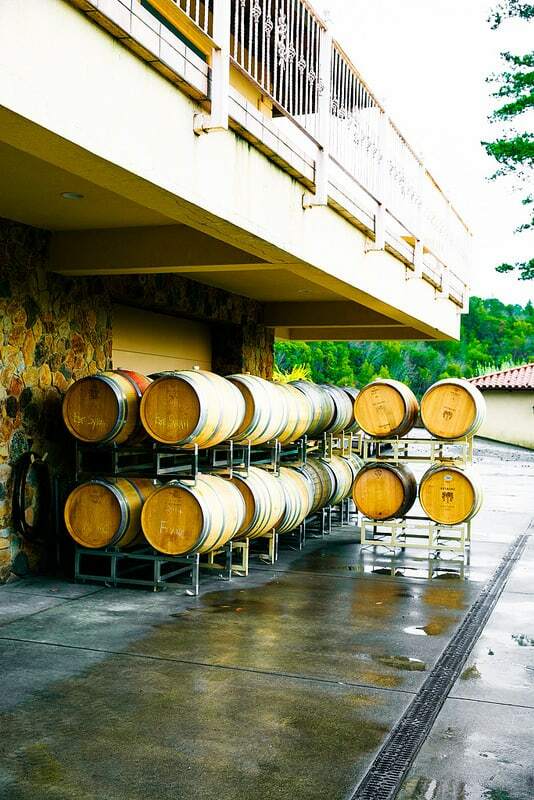 The winery’s owners, Lorenzo Petroni and his wife Maria Elena, purchased the land in 1992 with the intention of producing California wines on American soil to rival Italy’s famous red wines. 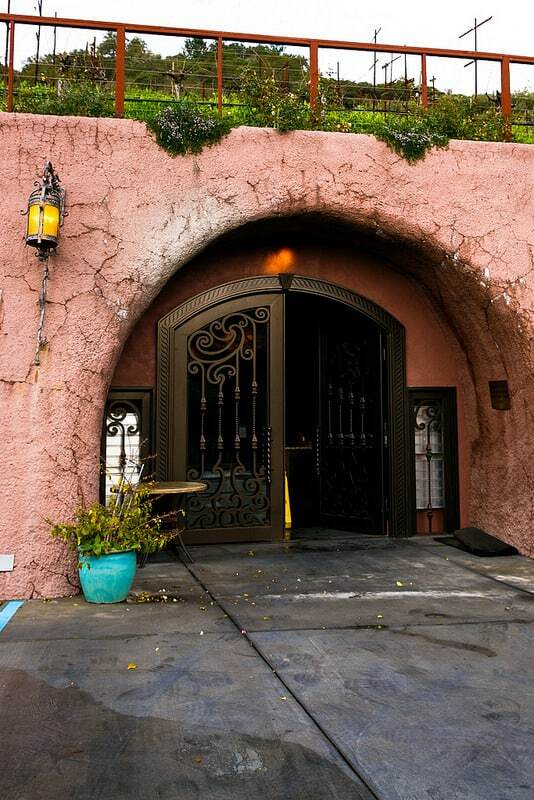 Lorenzo Petroni also owns a famous North Beach Restaurant in San Francisco that serves authentic Tuscan cuisine and is considered one of the top Italian restaurants in San Francisco area. 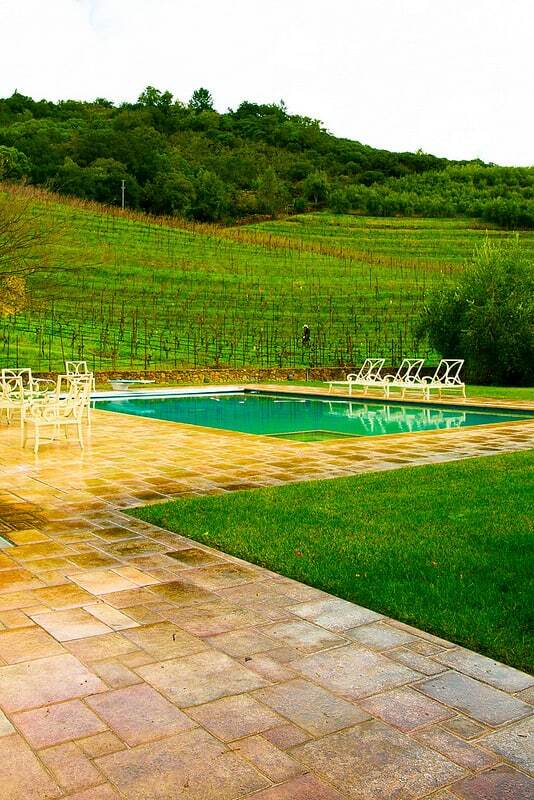 Lorenzo’s family has a home right on the winery property with a pool surrounded by beautiful landscaping. You won’t see crowds at this property – it’s in a very private, secluded spot, and wine tastings are done in small groups. 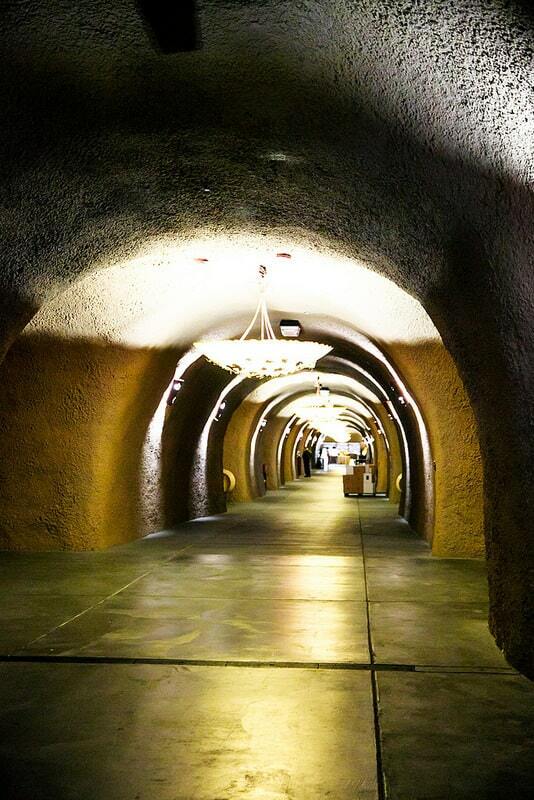 Next, we entered their underground cave where the wine tastings are actually done. The cave was lit up with beautiful lanterns and candles and was very spacious. 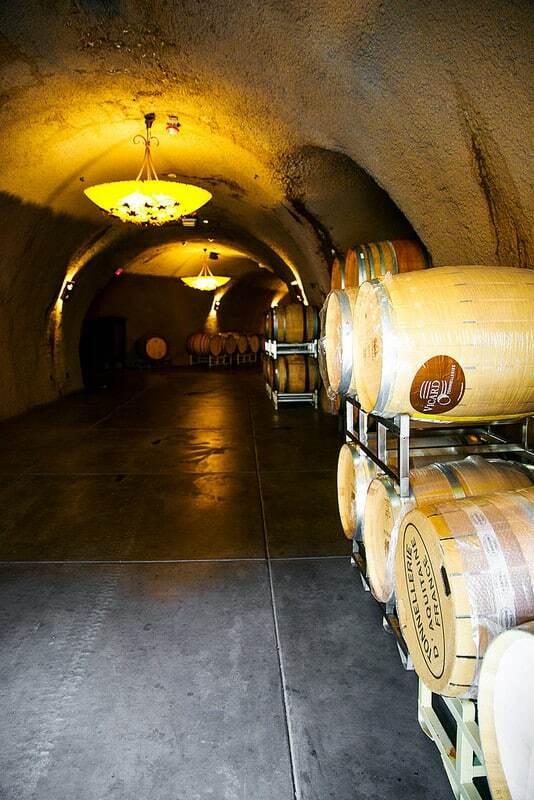 The caves are enormous, filled with wine barrels. 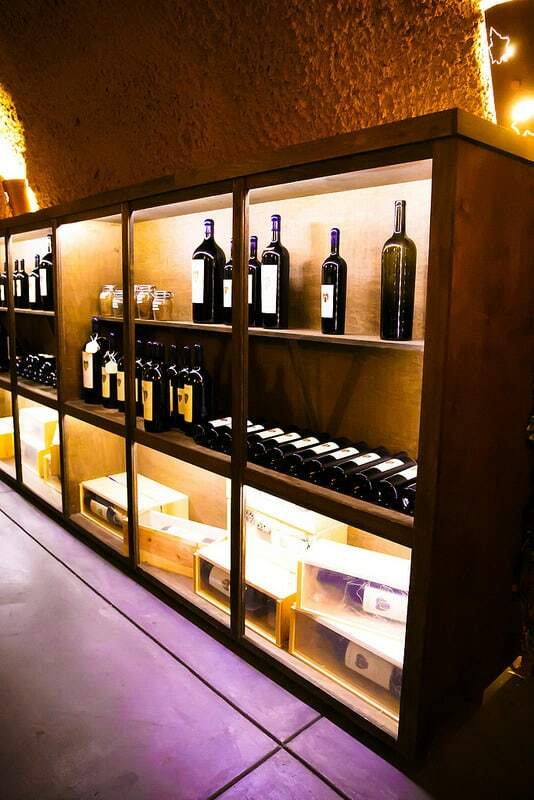 This is where this winery keeps their wines and does their wine tastings. The temperate was nice and cool. 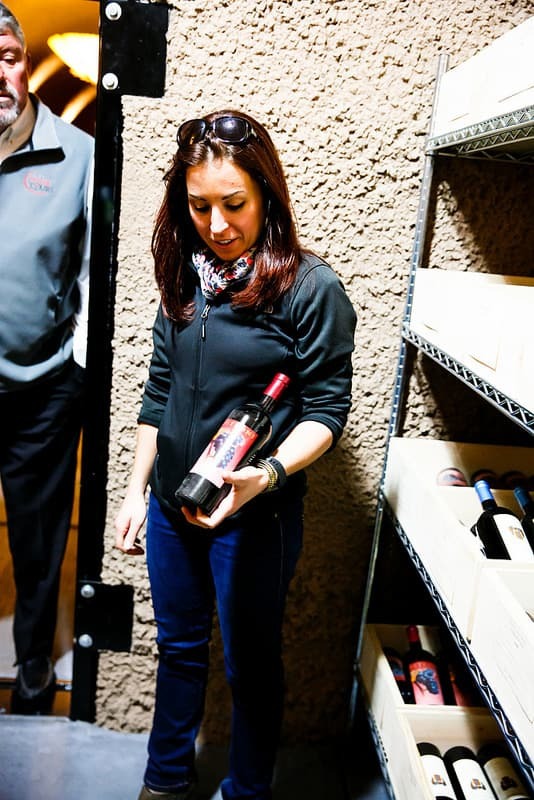 Jennifer took us to their wine vault to show their wine and talk more about their vintages. 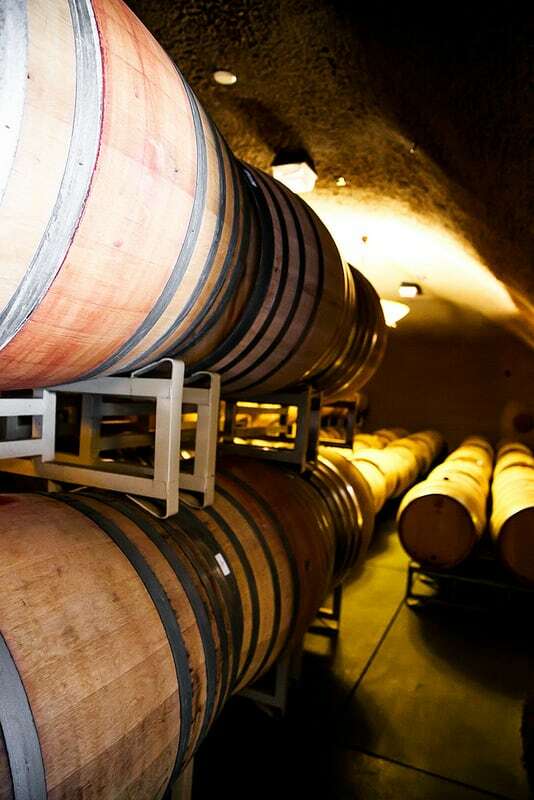 Next, we headed to a private enclave and were seated at a large long table right in the cave for a wine tasting. We had a really relaxing wine tasting experience, tasting all kinds of great wine to the sounds of Italian music in the background. 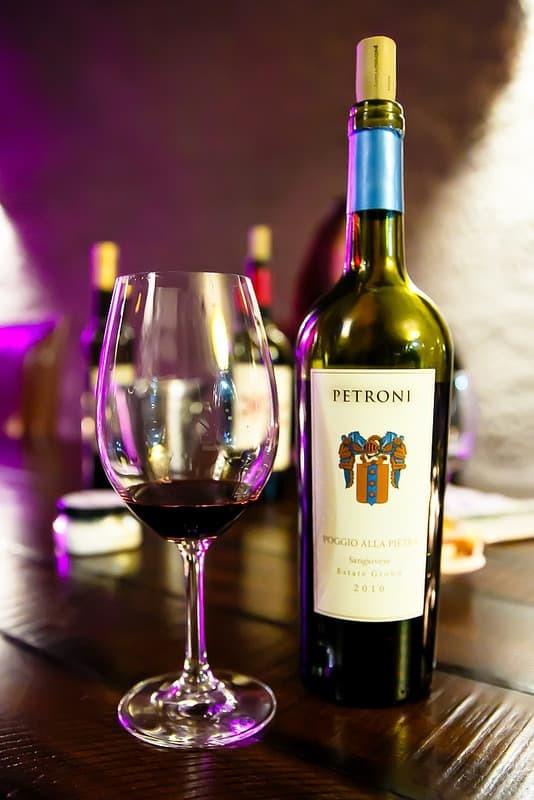 I loved all of their reds, and if you like heavier Italian-style red varietals – Petroni is the right winery for you to visit! 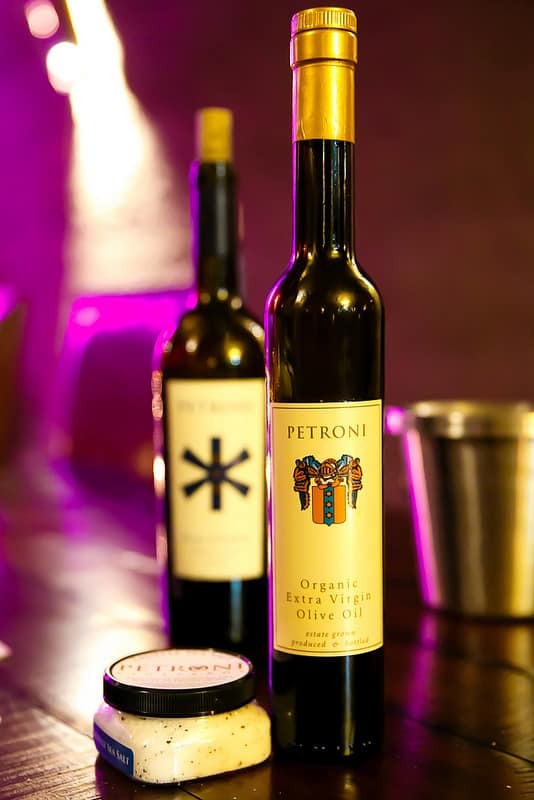 Petroni Vineyards also produce an excellent Extra Virgin Olive Oil which we got to taste, too. On the way to the exit, we continued to explore their enormous, impressive caves. 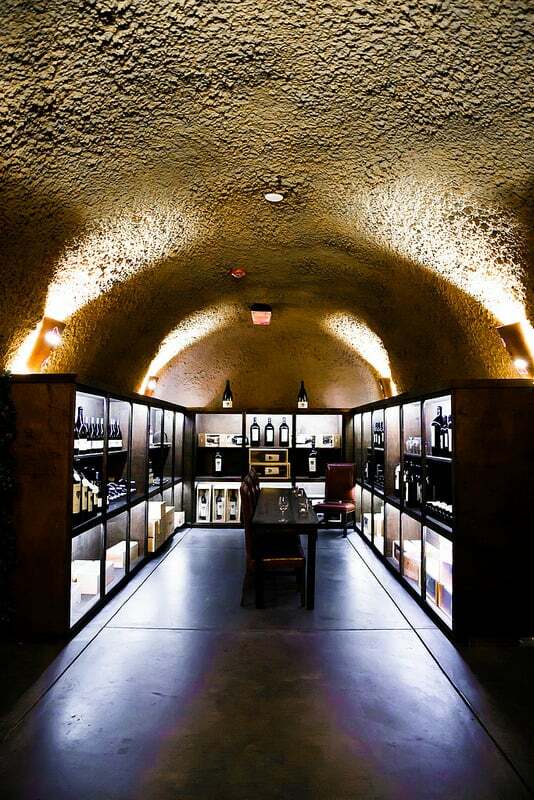 All this underground space provides truly unique tasting experience for their guests. 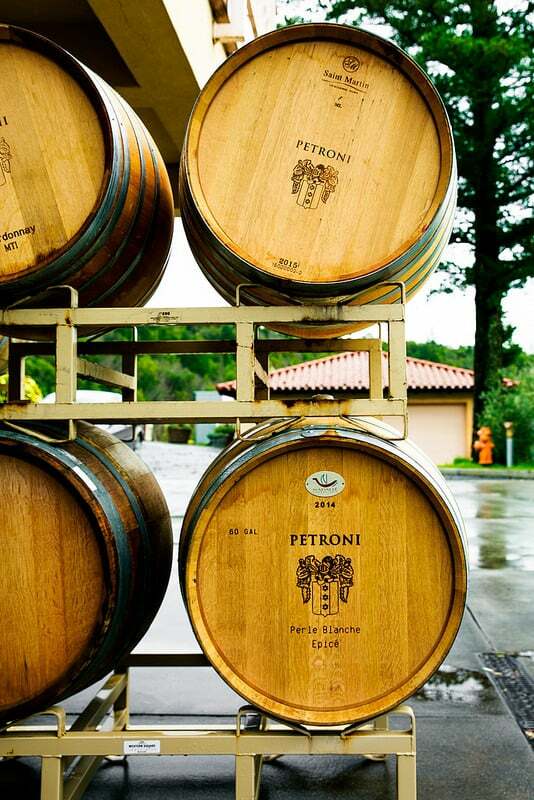 We exited the caves and reluctantly bid good bye to Petroni Vineyards. 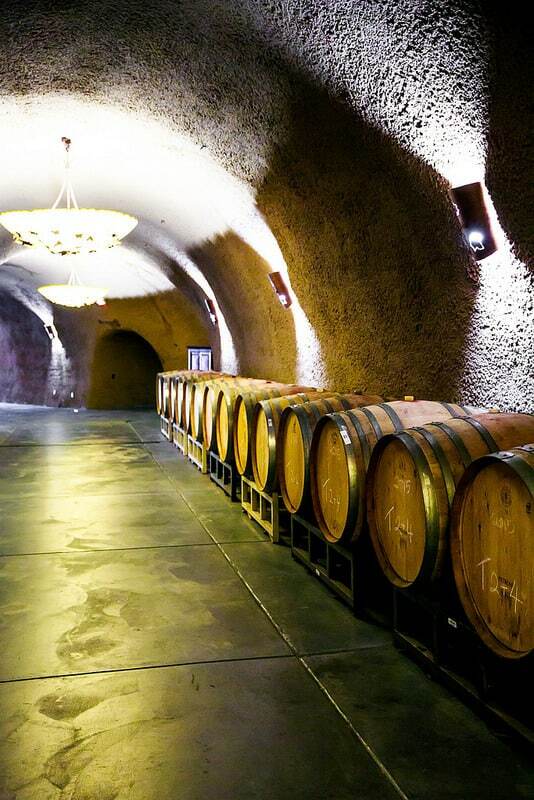 This winery is not to be missed on your next visit to Sonoma! 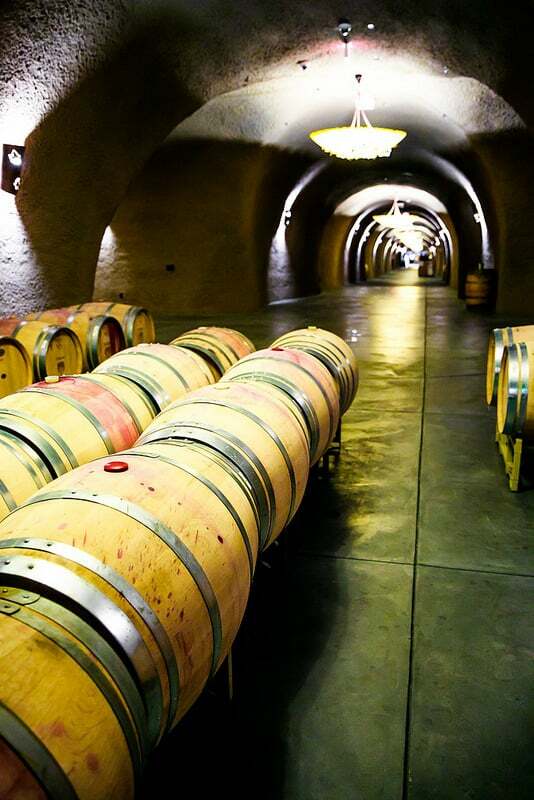 Once again, I am very grateful to Captain Steve of Ultimate Wine Tours for providing us with this one-of-a-kind wine tasting experience set in a huge cave, on a mountain top in Sonoma. 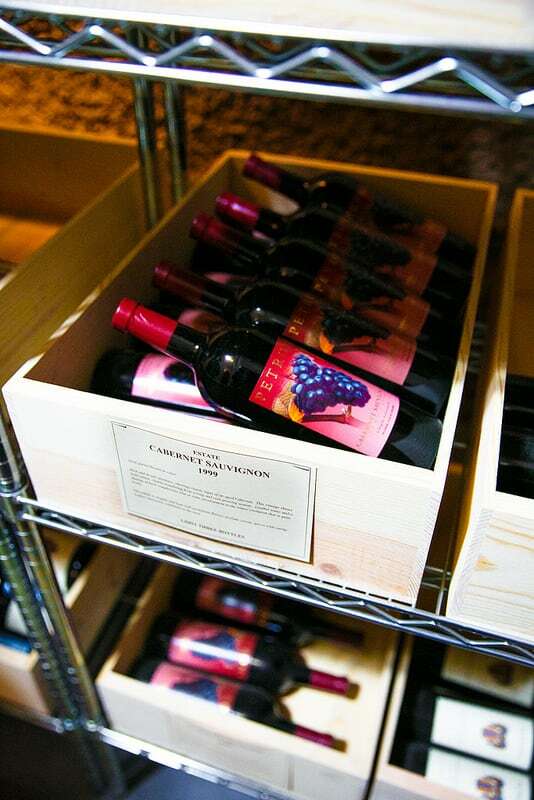 Make sure to check out another unique wine tasting we did with Captain Steve at Two Amigos Winery – you can read all about it here.